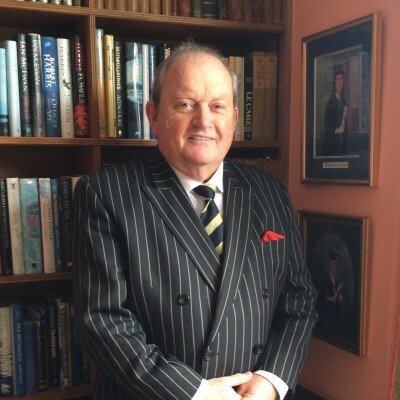 James Hanratty is a former President of the Council of Immigration Judges for the UK when he was an Immigration Judge for 17 years dealing with the full range of immigration appeals including asylum and deportations. Before that he advised three Lord Chancellors in the House of Lords. He was the Legal Adviser to the government on the handover of Hong Kong to China in Hong Kong for six years. He was in the Royal Naval Reserve for 22 years retiring as Lieutenant Commander and was awarded the Reserve Decoration (RD. ) He is the author of the acclaimed and at times hilarious autobiography, The Making of an Immigration Judge published by Quartet Books and with a foreward by Professor Lord Peter Hennessy. James is an experienced public speaker at literary festivals. His range includes working as a lawyer at the heart of government, the Hong Kong handover, the RNR in minesweepers and the role of the Judiciary in Immigration Matters with an analysis of the Brexit negotiations. He welcomes questions. He is a keen sailor and is a member of The Royal Yacht Squadron nearby in Cowes.